Braithwaite's new EL-T semi-industrial vacuum ironing table is for customers who do not need our bigger full industrial tables, but still require a quality vacuum table with UK service and back-up. The EL-T model is manufactured in Europe and has a semi-industrial rating that is ideal for use along side a steam generator and iron (available separately). If you are replacing your tradition ironing board, or domestic rated table, the EL-T will help to speed up ironing and improve finished results, by utilizing its vacuum + heating functions. 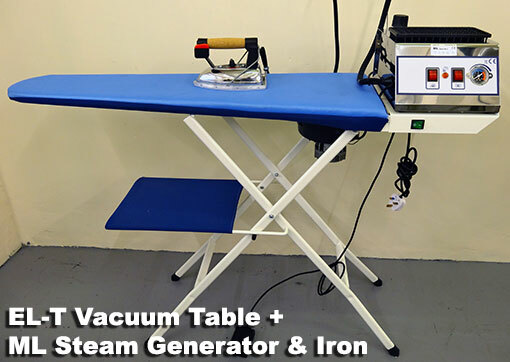 If you already own, or are purchasing, a steam generator and iron; then a decent vacuum table is often considered an essential piece of ironing equipment. The Braithwaite EL-T requires no special installation, its very easy to operate & is powered by a standard 13 amp plug. 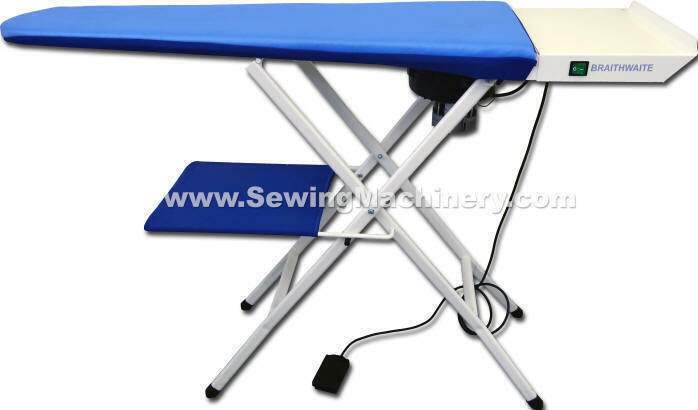 Its designed for use by tailors, designers, home workers, large households, fashion students, B&B's, dress makers etc. A vacuum tables usefulness is usually governed by the type of vacuum system fitted, with many similar sized tables using small domestic style vacuum motors. In comparison the Braithwaite EL-T is fitted with a large oversized vacuum motor assembly which, at the press of a peddle, creates a powerful suction on the top ironing surface. The suction holds the garment in place and when used with a steam generator iron (available separately) it draws the steam through the garment to quickly release creases. 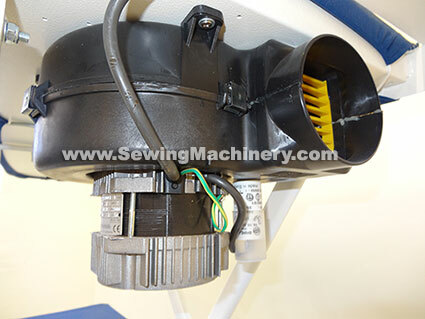 The vacuum motor also helps to dry and fix the garment by quickly removing excess steam before it turns back to water. The table is electrically heated to help reduce pressing dampness by drying any left over steam/water and preheating the tables surface ready for ironing. Robust construction, based on our larger Industrial ironing tables. Manufactured in Europe to strict quality & safety standards. Durable metal top assemble and stand legs. Built-in heated ironing surface to help reduce pressing dampness. Built-in industrial rated vacuum motor assembly to quickly draw steam through the garment + dry & fix at the same time. Movable operating pedal to position where comfortable for the operator. Conversional fold down legs for easy space saving storage.